I want to be more well-behaved. Really, I do. 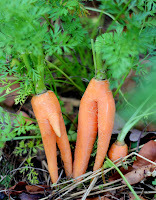 But when I pulled these carrots up, I just knew they were, er …. special. They looked so innocent, buried in the dirt with their green furry fronds poking up so nice and vegetable-like. 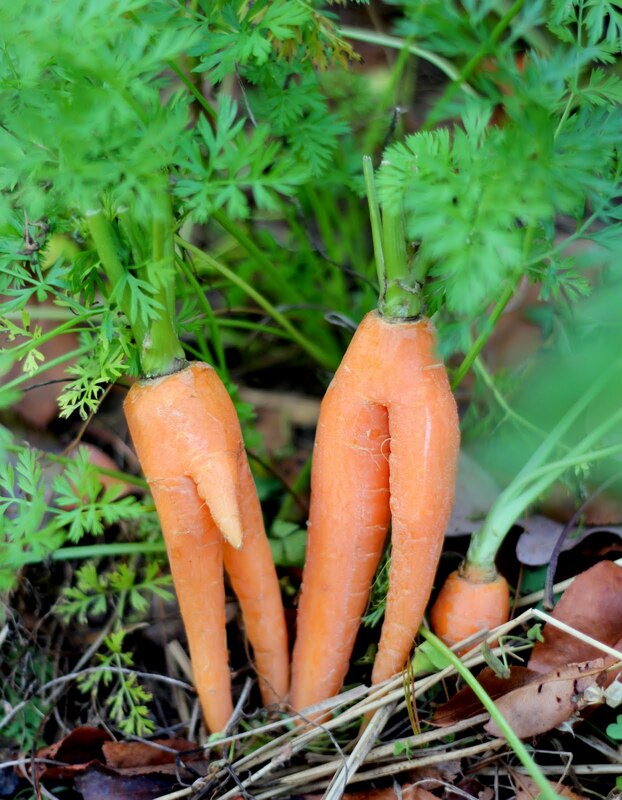 But it looks to me like they’ve been havin’ some fun down in the nether-regions of my fall garden. 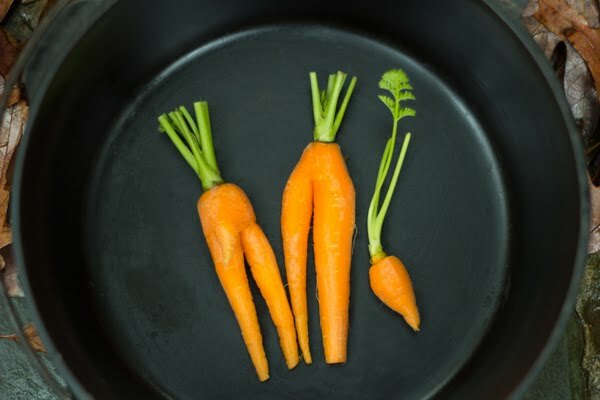 I’m thinking seriously of leaving the rest of their buddies in the ground so I don’t have to buy any carrot seeds next year! I put them back out in the garden, it’s where they belong. Don’t let the kids see this picture, or you’ll have some ‘splainin to do! I’ll make the photo little. ← Do these cornmeal lemon blackberry jam thumbprint cookies make me look fat?